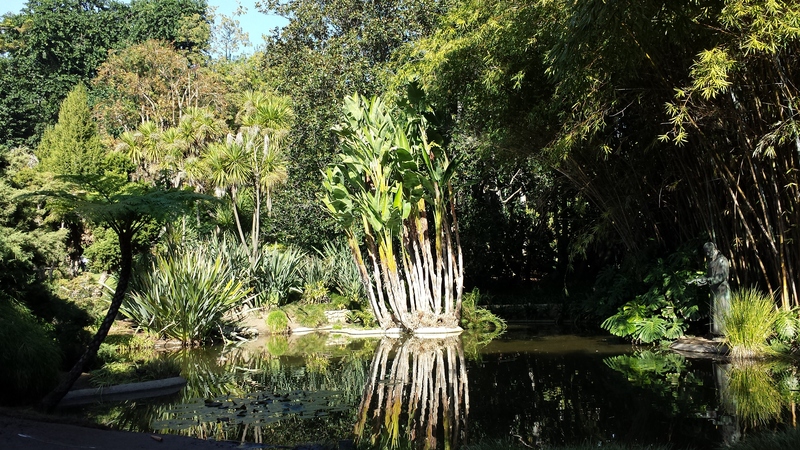 If you live in California or are visiting the “Golden State” then an absolute “must see” for you is the Huntington Library. A much underrated haven for art lovers that offers a lot more than a splendid collection of books and art. Spread over a vast expanse of 120 acres it has some of the finest gardens such as the Japanese, Chinese, Rose, Australian, Camellia and the Desert. Each offering a completely different theme and above all a monastically serene environment. My favorite among them is the Japanese garden with its authentic Japanese house that offers a picturesque view to the pond with its arching wooden bridge. The garden is lush with a cascading waterfall on one side. The sight is so exquisite; I thought I was in a magical wonderland. 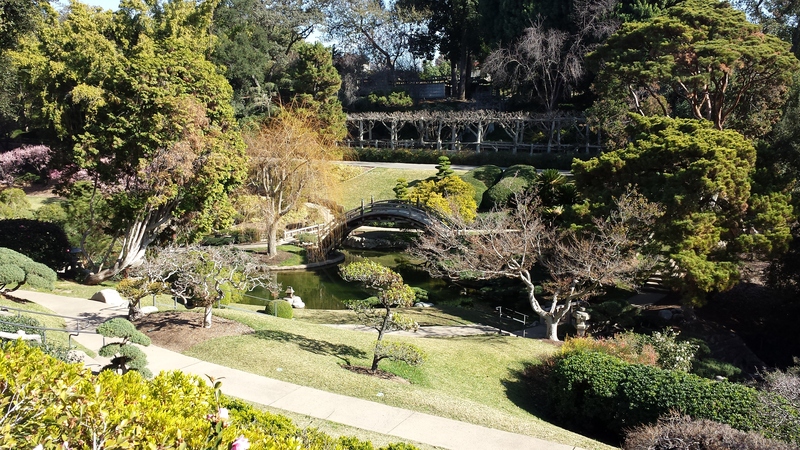 Zen garden and the Bonsai display are close neighbors to the Japanese garden and characterized by their stoic beauty. My second favorite however is the famous lily garden. You absolutely want to take your time here and just sit and relax; soaking in the wonders of nature and mankind. The Rose garden not only attracts families with kids but also many beautiful birds, bees and bumble bees, the latter two not being my absolute favorite. 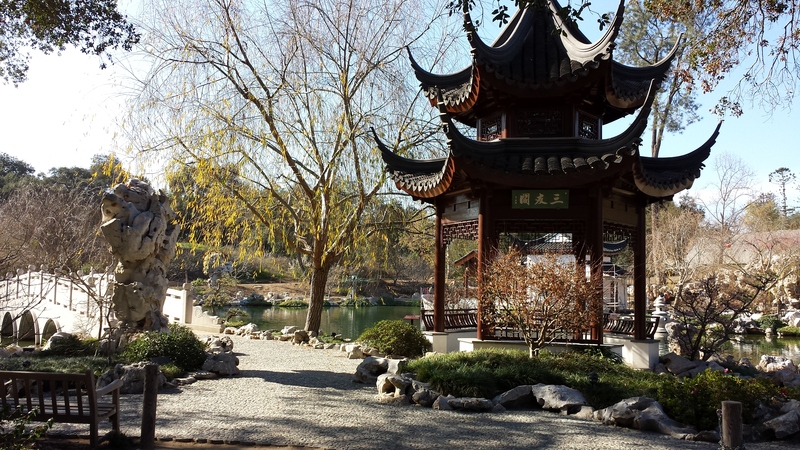 I have visited the Huntington twice before and found the Chinese garden to be absolutely extraordinary. This time however, it was undergoing some renovation which unfortunately took away some of its charm. The art exhibitions are absolutely amazing as well. And yes, Thomas Gainsborough’s “The Blue Boy” is to Huntington as “Mona Lisa” is to The Louvre Museum in Paris. All the walking is sure to get one hungry and before you know it you are looking for food. Although the Rose Garden Tea Room looks absolutely enchanting with its cutesy decor and beautifully arranged sandwiches, cheeses, salads and desserts, we decided to go the cheaper route and visited their café instead. The regular cafeteria has sandwiches, desserts, hot dogs, burgers reasonably priced. I must admit I wasn’t crazy about the food, note to self; bring home-made sandwiches and snacks next time. A word of advise. Be prepared to do some research, and plan which gardens and exhibitions you want to focus on. The reason being that the visitation hours are very little and the grounds to cover are expansive. Planning before hand, will make sure you can focus on all the items that you and your family care about the most, without running out of time. Also wear your best walking shoes since you will be doing a lot of walking. Carry some light snacks and sandwiches so you don’t have to shell out a lot of money on the food, since the entrance ticket is fairly expensive in itself. Enjoy!